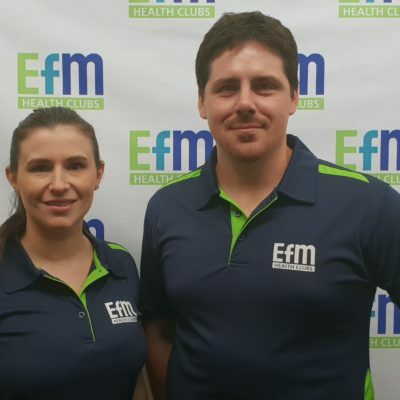 Situated in a convenient central Adelaide location, EFM Health Clubs on Pirie Street is the fitness centre to help you achieve your health and fitness goals in the safest, most efficient way possible. Whether your goal is fitness, weight loss, strength, improved health or just a quick 30 minute express workout in your lunch break, we have you covered. With a brand new exercise program that is tailored personally to you every single day of the year, you’ll never get bored of your exercise routine again. With your own dedicated Fitness Coach every session to keep you motivated and make sure that you are continuously challenging yourself you’re guaranteed to always get the results that you are aiming for. Your membership is a flexible monthly membership, which gives you peace of mind knowing that you will always receive exceptional customer service and fitness coaching to guarantee ongoing satisfaction. We look forward to helping you achieve your health and fitness goals soon. The team at EFM Pirie Street.